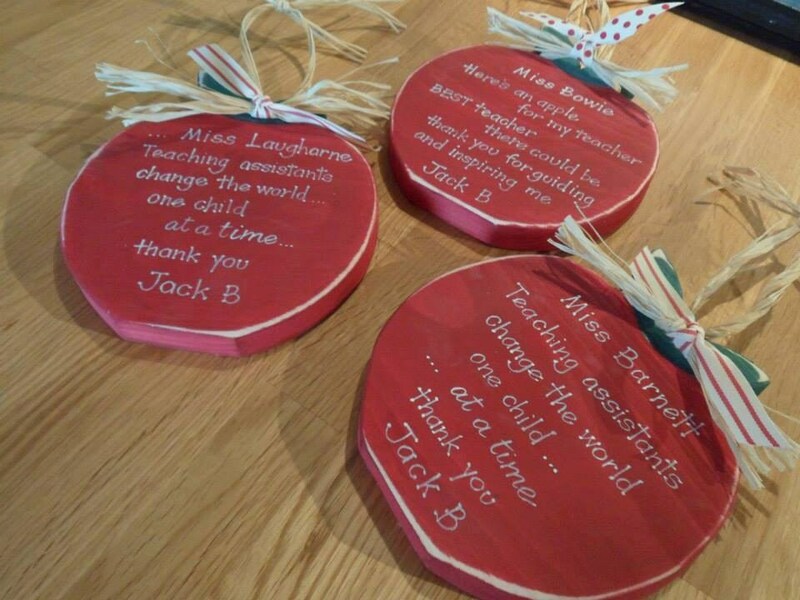 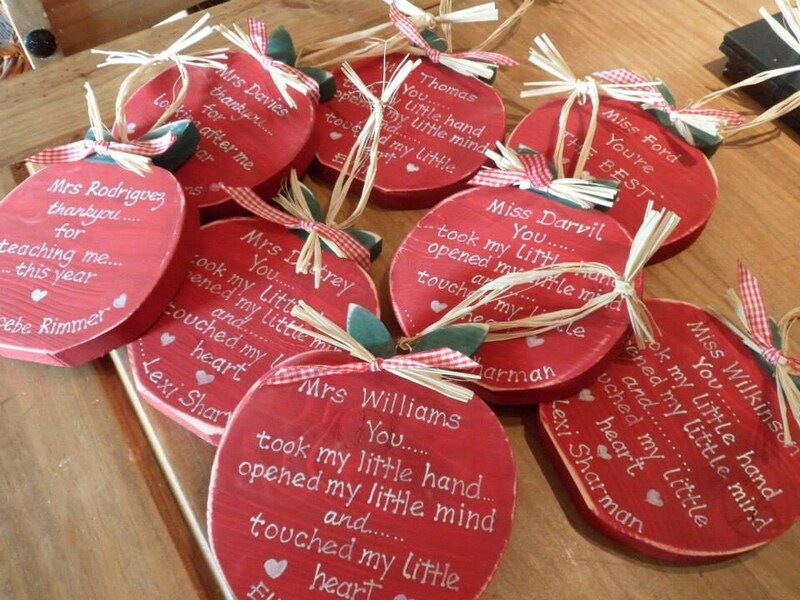 Our personalised Appler Shaped Decoration, specially for a favourite teacher, LSA or nursery teacher. 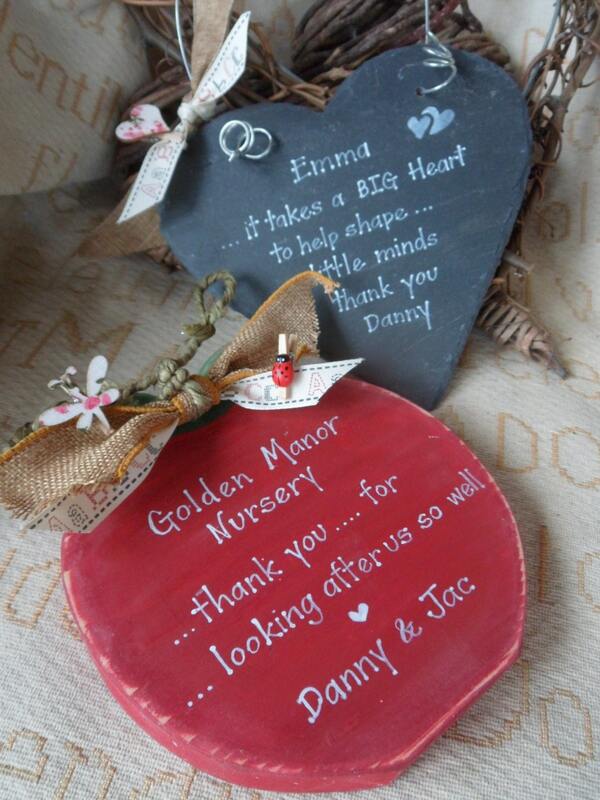 It is a bespoke and thoughtful wooden plaque and a beautiful keepsake for them to treasure always. 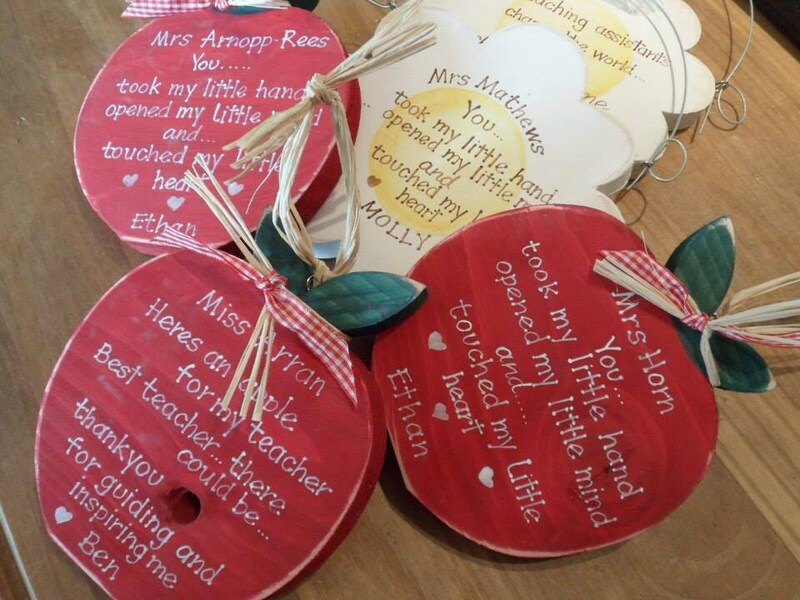 It is a beautiful hand crafted and hand painted apple shape which can be freestanding or hang. 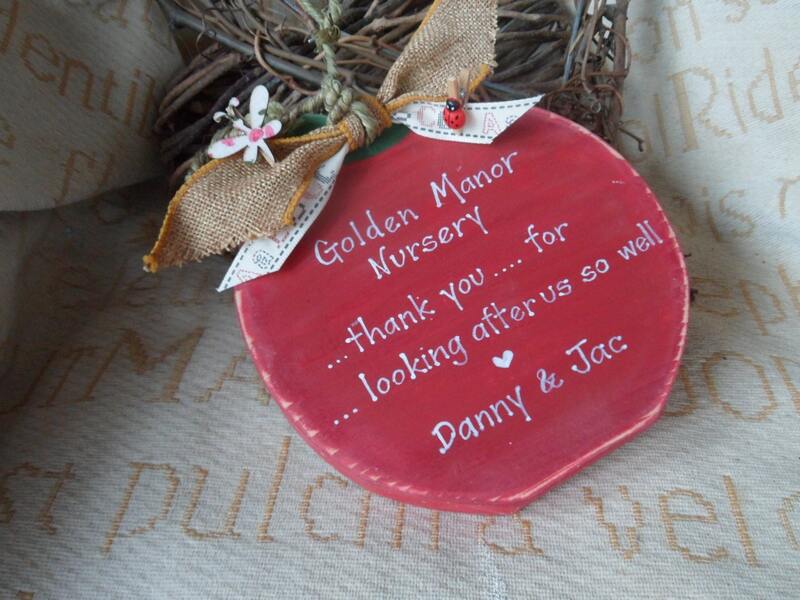 Made in a shabby chic style and sanded back to reveal the wood, this is a beautiful keepsake for anyone to treasure.